The KOGEI HACKATHON was held in Takaoka City in Toyama Prefecture, as a part of the INTERNATIONAL HOKURIKU KOGEI SUMMIT in 2017. 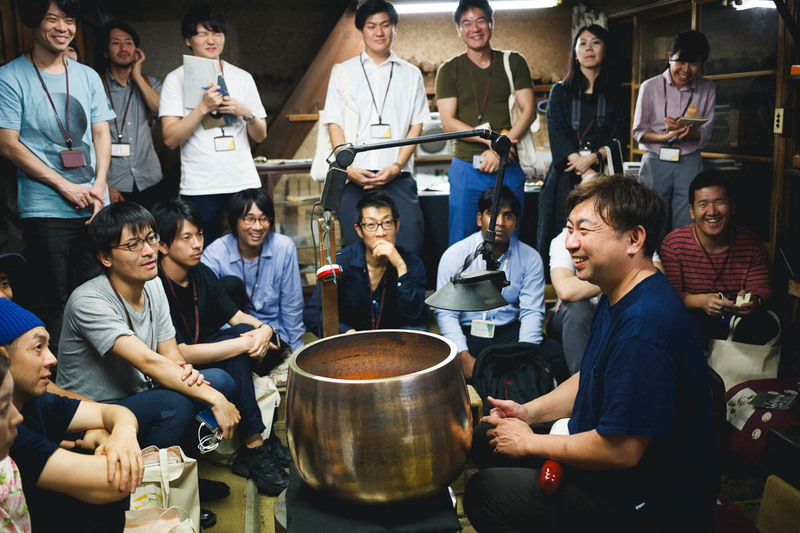 The Hackathon produced seven collaborative projects by teams of local artisans and craftspeople working in traditional industries, joined by engineers, researchers, artists and others who chose Takaoka City as the stage to showcase the techniques and passion of its over 400 years of metalwork and lacquer art. The term “hackathon” is coined from the words “hacking” (destroying preconceived notions) and “marathon”. It generally refers to a competition in which software developers work together intensively to develop programs and devise services in a short period of time. The skills used and ideas generated are the focus of the hackathon, which has now become a means for generating astonishing results that exceeded expectations. 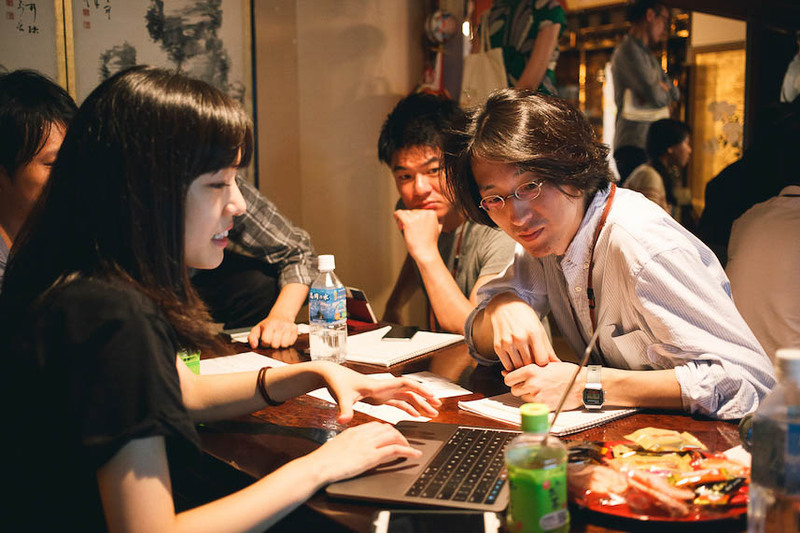 The KOGEI HACKATHON held in Takaoka City in 2017 centred on the theme of the Future of Kōgei (craftwork). It attracted 142 applications from within the city and nationwide, and the 37 participants selected were leading artisans in a diversity of .elds. The KOGEI HACKATHON generated an enormous amount of public interest. Takaoka City is a central city with a population of around 170,000 people; it is located in the western region of Toyama Prefecture. Takaoka was established about 400 years ago by Maeda Toshinaga, the second feudal lord of the Kaga Domain. The city has nourished with the development of its traditional industries such as Takaoka copperware and lacquerware, and also with its modern industries in aluminium, chemicals, pulp, and other materials; it is now the leading monozukuri (manufacturing) city on the Japan Sea coastline. Takaoka also has many attractions such as the remains of Takaoka Castle, the National Treasure of Japan Zuiryuji Temple, and the Takaoka Mikuramayama Festival listed as the UNESCO Intangible Cultural Heritage. It also has traditional streetscapes and numerous other historical and cultural assets such as the passion of its people who have carried on kōgei from the past to the present day. However, kōgei in Japan is facing various challenges these days, such as changes in people’s lifestyles and a lack of successors. For us who live in today’s society of global capitalism, is an inefficient art form of such as handiwork no longer necessary? Can kōgei thrive as an industry, rather than just survive? We’d like to explore Japan’s unique culture that fuses handicraft with technology and the potential for innovation in its industries. Here are some of the new objects emerging from our event. Creating a new musical instrument using the material tone of metal. Takaoka copperware is made from a variety of copper alloy materials including brass, bronze and karakane (bronze from China). Copperware artisans are well versed in the properties of each material, and know which to use for different products. 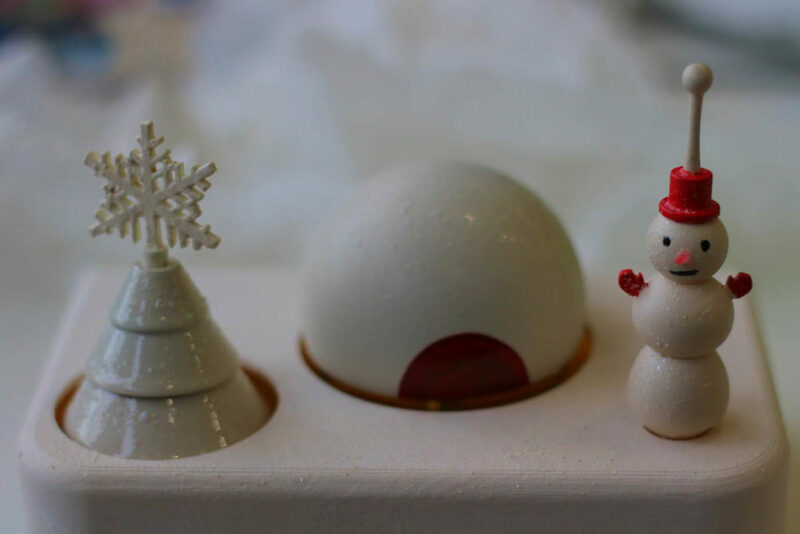 The Sozaicho team believes materials are what elevate the handicrafts into exquisite works of art. So rather than being product designers, the team see themselves as the creators of materials that design the appearance of an item. 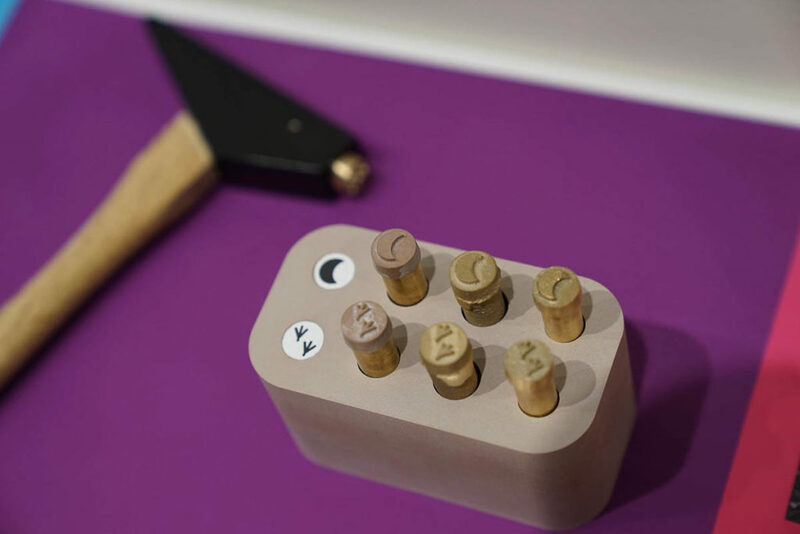 By making the materials the media for their work and creating opportunities to learn about the materials and techniques used in Takaoka’s kōgei, the team has created a conceptual musical instrument that is intended to be actually used and become timeless through the virtue of continuous use. The team will keep working on creating an even richer variety of sounds by using even more varied materials. They’re also aiming to have the instrument used in musical performances and other events. CRAFTECH is the fusion of kōgei with state-of-the-art technology, based on Japanese aesthetics. What kind of future would be possible if technology was developed with an emphasis on aesthetic beauty, rather than efficiency and expediency? CRAFTECH is a new movement connecting kōgei that embodies the aesthetic sense of the Japanese with state-of-the-art technologies. Lacquer is noted for its lustrous black reflection, which has been likened to the surface of water since olden times. 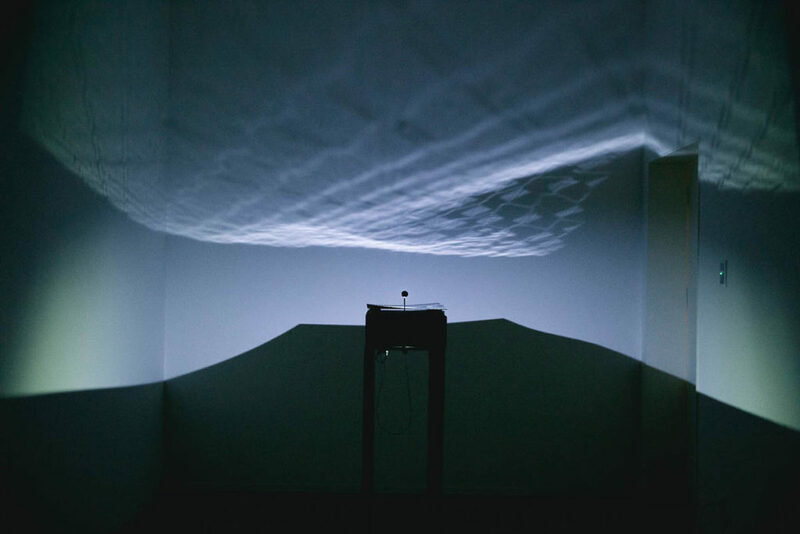 In the CRAFTSCAPE installation, a LED light is shone onto a lacquered surface to make it dance like the water’s surface on the walls. CRAFTECH’s other works include its CRAFTEXTILE mixed weave of conductive threads and natural fibres, a CRAFTALK smart speaker that adds beauty to everyday life, a CRAFTPRISM that uses the kintsugi process of repairing ceramic pieces with gold-dust and lacquer to reconstruct scenes, and CRAFTMOVE that visualizes the magnetic properties of black lacquer. A video analysis system for carrying on traditional techniques, born from a desire for the future to continue creating crafts that move people. It takes a considerable amount of time to learn a particular craft technique, so young people these days see traditional craft as being a difficult industry to dive into; this has led to a serious problem of a lack of successors in the traditional kōgei industry. It would be very difficult and close to impossible to regain these techniques once they have been discontinued; therefore, preserving and passing them on is a pressing issue. This project aims to let users learn craft techniques in a short period of time by observing and analyzing videos of artisans at work to study their embodied knowledge of craft skills, which is often difficult to describe in words and hence subsequently challenging to pass on. 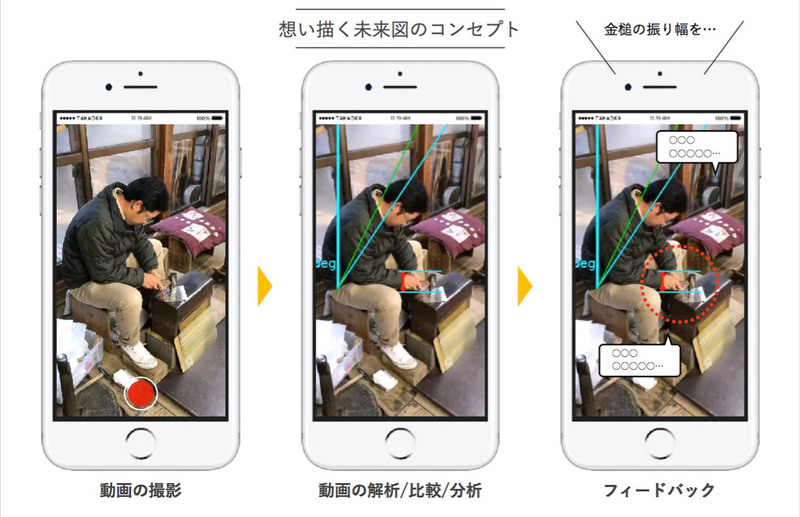 The futuristic concept it proposes is allowing users to record the videos on a smartphone, so that anyone can easily receive the study results; this is made possible by the latest artificial intelligence (AI) technology. The team is currently collecting more samples to create a database, and also aiming to develop an app. Is it possible to reflect on all that Takaoka kōgei has created so far through the perspective of modern technology, and incorporate the DNA of kōgei into it? 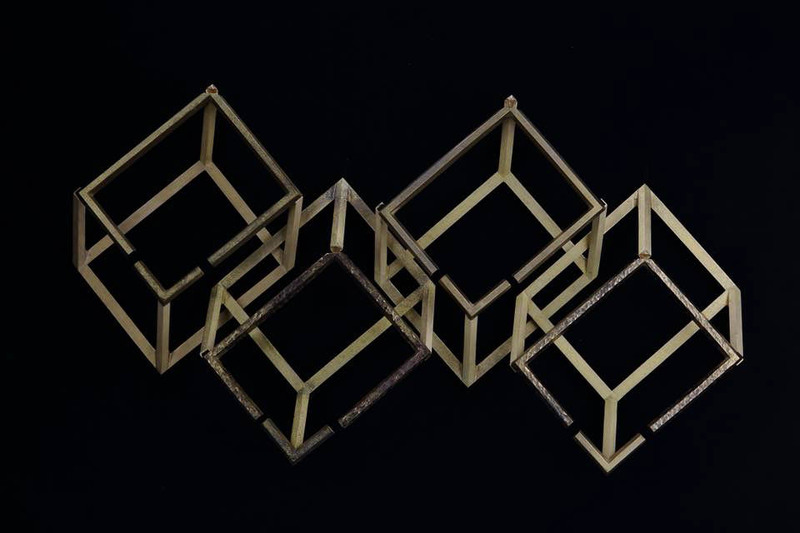 The ReKOGEI project is utilizing computation and artificial intelligence (AI) to re-evaluate Takaoka’s kōgei history and the modelling and construction processes of its craftwork from a fresh perspective. It aims to create new expressions for Takaoka’s craftwork, and generate more possibilities for developing the kōgei industry. The first stage of the project focused on the use of AI as a “neighbour who gives an unexpected reply,” although AI is generally described as being increased e.ciency for or a threat to humans. The ReKOGEI team used AI and worked with artisans to expand the modelling properties of lacquerware. 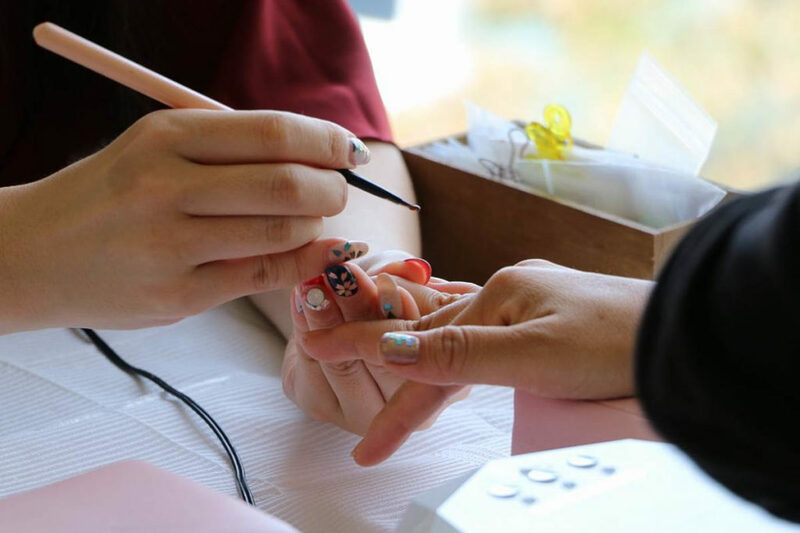 This second stage looked at the aesthetic qualities of the lacquer pieces created. The team incorporated 3D modelling and 3DCG to explore the appeal of lacquer from a technological perspective, while also seeking to broaden the potential of modelling and the creative process. Traditional Craft x IoT: Yuine will convey your feelings to those you hold precious. Takaoka City in Toyama Prefecture is known as the home of Buddhist altar articles (butsugu), as 90% of the production of these objects, in Japan, is concentrated there. One such item is the orin (Buddhist bell), which comes in a variety of versions each with their own distinct sound. Yuine combines the healing sounds of the traditional craftwork orin with the Internet of Things (IoT). The family unit is becoming increasingly nuclear in its composition; it is now also more common for family members to live apart from each other. Although there are numerous ways for people to keep in touch, wouldn’t it be wonderful if there was a simpler way to communicate and feel the other person’s presence with you at all times? When you tap a Yuine and it chimes, the matching pair Yuine, which the other person living away from you has, will also chime at the same time. Hearing the soothing sounds made by a Takaoka orin used in Yuine, crafted using techniques to make the most of the appealing sounds of the metal object being tapped, will not only make you feel relaxed, but also remind you of the other person with the matching Yuine. Amid the fears over artificial intelligence (AI), 3D modelling and 3D printers, robot arms and other computer technologies taking away work from artisans, this project searches for completely new expressions of metalwork by daring to incorporate these computer technologies into kōgei techniques. The kōgei monozukuri approach produces works as a by­product of the intentional hand crafting of selected materials chosen for their properties. The Metal Research Lab team interposed algorithms, simulations, data analysis and other computer technologies into this process in the pursuit of novel modes of expression for metal. 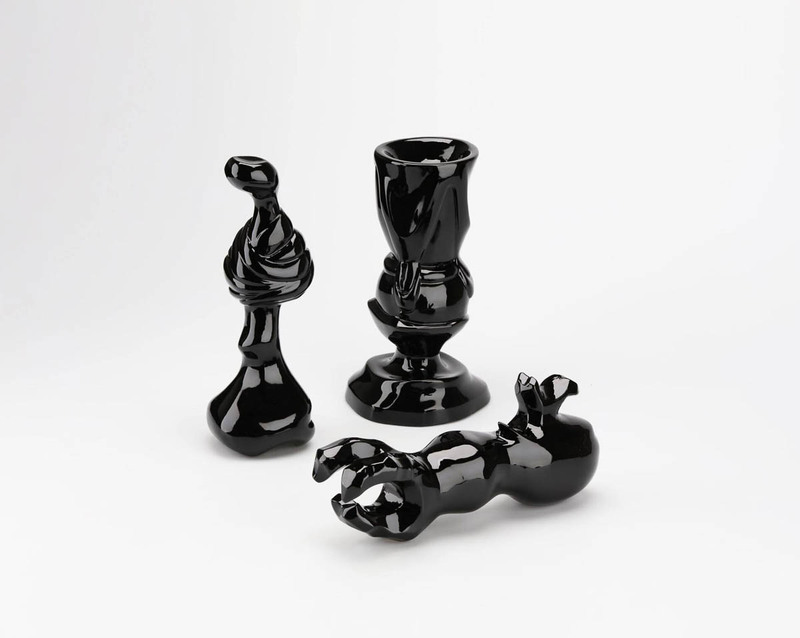 Their research followed the two approaches of Latent (computer-generated forms and patterns that are shaped by human hands) and Obvious (using simulation to explore expressions that are difficult to actualize or create by hand). This project began with a desire to convey to more people the wonderful techniques of traditional craft and the charismatic craftspeople of the kōgei industry. Connecting traditional craft with contemporary techniques attaches a story to the product, and also helps to set up a made-to-order system for creating such items at a reasonable price. The new product proposed by this project aims to do that by allowing users to take part in the manufacturing process. Suzugami (tin paper) is created by highly-skilled artisans, who tap and shape it into the Buddhist altar article orin (Buddhist bells). Tapping the soft metal sheet made of 100% tin improves the strength of this highly malleable and unique product that has become extremely popular. Tonton Toyama is a service and support system for providing made-to-order suzugami with customized designs. Sari Hayashiguchi is the CEO of Epiphany Works, Ltd. Born in the city of Takaoka, Toyama Prefecture. Graduated from the Tokyo University of Foreign Studies, Department of Chinese. In college, she became interested in contemporary art while studying abroad in London, and she aspired to participate in an art project. 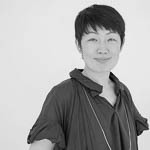 She worked for The Tokyo Design Center, P3 art and environment, and such, and in 2005 established Epiphany Works. She is continuing the planning/producing of projects connecting a wide range of fields from contemporary art, music, design, Buddhism, and to science, such as a collaboration project with a creator of The National Astronomical Observatory titled “ALMA MUSIC BOX”, or bringing together instructors of various fields such as monks, artists, and scientist with “School Nalanda”. 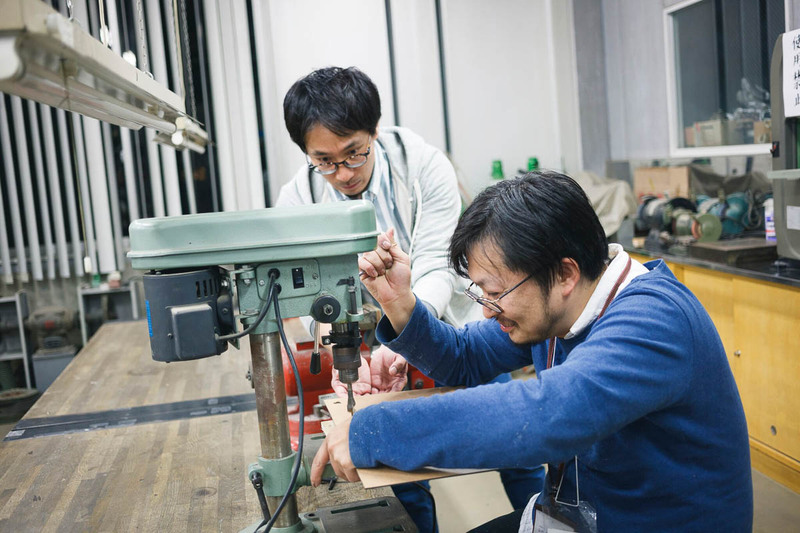 Also, from 2012, the headquarters were moved to the city of Takaoka, Toyama Prefecture, producing projects such as the “KOGEI Hackathon”, bringing traditional crafts and cutting-edge technology together, and other local crafts/regional development projects.